"These people, dressed as they are, come from all over the United States to make Deals here in the Market Place of America ... LET'S MAKE A DEAL!" "It Pays To Be Married"
Jay Stewart, genial host-emcee of NBC radios It Pays To Be Married, started his show business career as a saxophone player. He entered radio in his native state of Indiana where he was born at Summitville on September 6, 1918. He attended Butler University and earned part of his tuition playing his saxophone in various campus orchestras. In 1939 he received the Balfour award as the fifth most outstanding Sigma Chi graduate in the United States. Jay first put aside his saxophone to take a radio announcing job for station WBOW, Terra Haute, Indiana. From there he went to Cincinnatis WLW, announcing and emceeing, and appearing on a number of programs with Beverly Barnes, also of the WLW Staff. A few months later Stewart and Beverly Barnes had teamed up permanently, with Beverlys name changed to Mrs. Jay Stewart. She still writes and acts in radio. In 1943 the Stewarts moved to California where Jay landed an announcing job at a local Los Angeles station. He has had few idle moments since he hit the film capitol. Jays hobby is editing his 8-mm, movie film library, for which he has just completed a 24-reel composite of a visit to Germany last year. Stewart enjoys meeting the interesting couples he interviews each day on the show and is firmly convinced from talking to these people who have found happiness and contentment with one another that "It Pays To Be Married." The Stewarts have two daughters, Jamie, age 7, and Julie, who is two and a half. Jay is 5 feet 10 inches, weighs 165 lbs and has brown hair and blue eyes. Jay was also the announcer for Tex Ritter's Ranch Party and the Town Hall Party Show in the late fifties. Although both were local Southern California television shows, they featured such legends of the music business as Carl Perkins, Johnny Cash, Merle Travis, Patsy Cline, Gene Vincent and Eddie Cochran just to name a few. 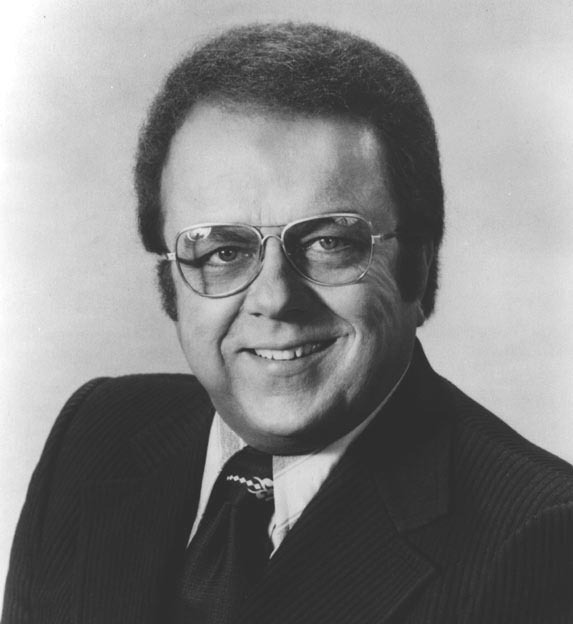 Jay retired in 1988 to become an agent for other announcers. On September 17, 1989 at the age of 71, Jay Stewart died in his Hollywood home.